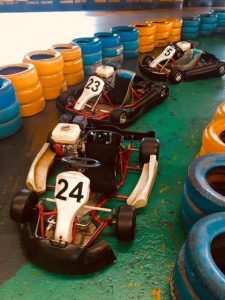 Imported from Italy, these 200cc Karts provide an exhilarating, adrenaline pumping ride-of-your-life experience. 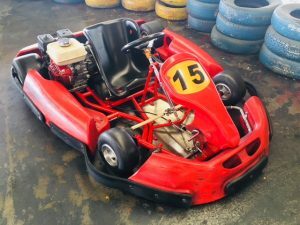 Much the same as the main Karts, these Karts cater for those who are slightly shorter. There is no difference in power, just a smaller seating position. 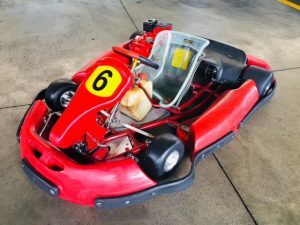 Karts specially designed for kids from a height of 1.1 meters. We use a pillow for a little height bump as well as extra comfort for during racing.